What a long, long week. We’re all exhausted. They say winter is coming, but that really remains to be seen. Literally. We’ll see. There was some sort of wild talk about snow in higher elevations. That can’t be right. Two out of three Sisters refuse to participate in snow. While we were worrying about snow and digging out our Uggs these things brought us amusement this week. 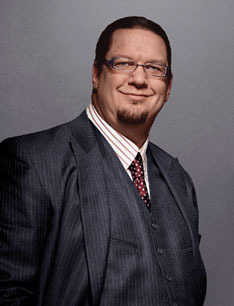 Penn Jillette. Penn and Teller are an amusing act. We also like Penn because he’s an outspoken and intelligent atheist. He has a new book out called God, No! In it he has rewritten the Ten Commandments for Atheists. It’s shocking how similar they are to the other Ten Commandments only without that “God” part. 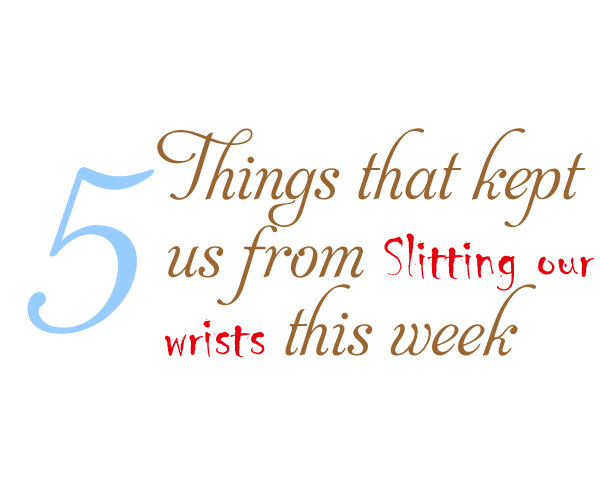 For example, number four reads, “Put aside some time to rest and think. (If you’re religious, that might be the Sabbath; if you’re a Vegas magician, that’ll be the day with the lowest grosses. )” If you’re a mother, that means never. We’re just saying. Bobbing for things. There was a Halloween party this year. We all had a great time. The Sisters went as a goddess, a pirate and a zombie. The host of this party, in a moment of outrageous inspiration, had a bunch of mini-bar sized bottles of booze floating in a big bucket of water. 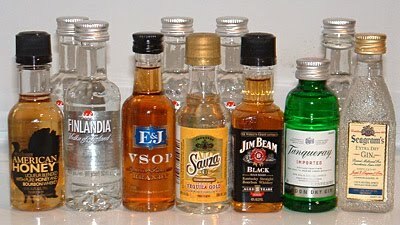 If you wanted one for your drink, you had to bob for it. HA! Apples schmapples. Unless it was apple schnapps, of course. Health food. It has come to the Sister’s attention that the McDonalds pie is actually health food. “What?” you screech. “How can that be? Surely you’re crazy,” you insist. We have done some research and we have irrefutable proof. Behold. 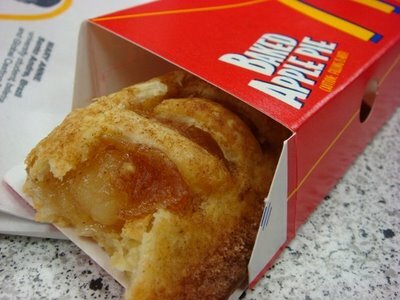 The McDonald’s Apple Pie is only 250 calories and 3 grams of fat. If that’s not health food, then we don’t know what is. Well, actually, we’re pretty much in denial about health food and what actually qualifies it as so, but we feel quite confident that the above figures put McD’s pies right smack dab in the middle of “heath food.” Dollar menu, anyone? Kim Kardashians nuptials then you’re living in a vacuum. Even the furthest Sherpa in Nepal has heard the tragic news. While we’d all like to see the institution taken a little more seriously, and we despise the waste of the money for the wedding (especially since our invitations were clearly lost in the mail), we do think there are other precedents that might have been sent here. Perhaps there are many undertakings that would benefit from a 72 Day Back Out Plan. We propose a “Just Kidding, What Was I Thinking” plan. Mull this over and see where it might fit into your life. Daryl. The Sisters love The Walking Dead on AMC. It is an amazing show with a fabulous story line, unbelievable special effects, and an amazing cast. 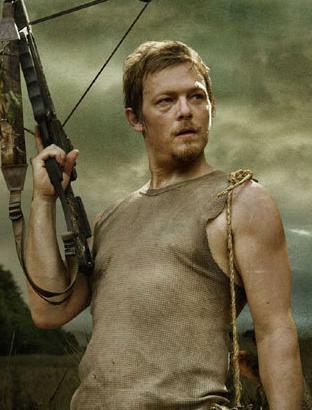 Our favorite character, beyond a shadow of a doubt, is Daryl Dixon. The thing about Daryl, as played by Norman Reedus, is that he is not the character anyone would typically identify with. He’s a very rough, red-neck kind of guy. The thing is, though, he says and does the exact thing you’re thinking at the time. He’s not supposed to be a hero. Originally I don’t think they’d even written his character as a likable guy. He’s the kind who says things like, “Some people just have to die. Oh, come on, you’re all thinking it.” And of course, we are. We love Daryl and his cross bow and his WTF attitude.